The documentary of Buck Brannaman has the tagline “There's no wisdom worth having that isn't hard won” which aptly describes the story of the unique and legendary horse trainer. 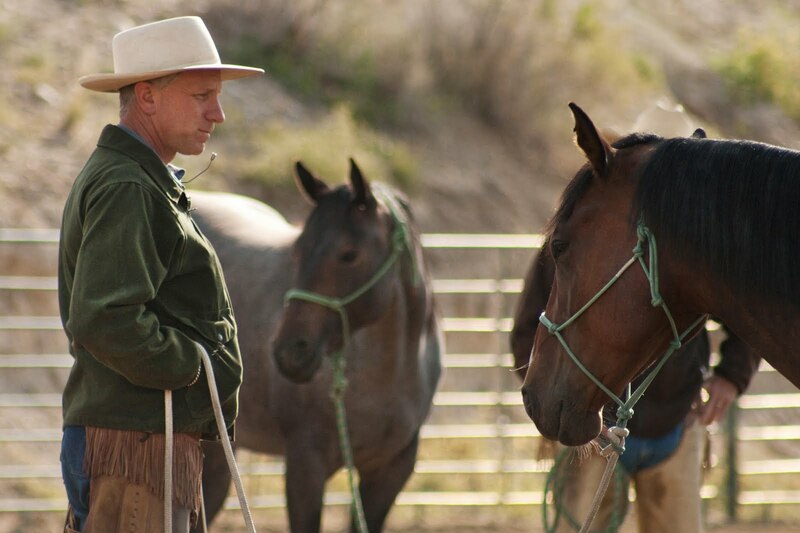 Buck's story inspired first time documentary filmmaker Cindy Meehl to travel from North Carolina, Washington, Wyoming, California, Montana and Texas filming the man who was the consultant on Redford's The Horse Whisperer. Buck was the role model for Nicholas Evans book and was hired as an consultant for Robert Redfords' The Horse Whisperer. Redford at first was dubious when the cowboy dressed Buck first came to his office in Hollywood but shortly after he with struck by Bucks straight forward realness that rings true. Buck is a loving husband and devoted father to his daughter Reata who travels with him at times and competes with him at roping events. When his daughter is not with him, he travels with just his horse Rebel. Sometimes visited by his wife. The sponsoring ranches welcome him with open arms. He's trained at least 10,000 colts from Olympic riders to just beginners treating everyone the same. In a world dominated by comic book hero's this is one hero that's real and home grown.